Ministry Scheduler Pro If you are a Liturgical Minister (Server, Reader, Hospitality Minister or Extraordinary Minister) you may use this link to check your schedule, request sub or submit unavailability dates. Pope Francis has published his Apostolic Exhortation entitled in English, “Love in the Family.” This is his summary and reflection on the two synods on family life that have taken place since his election as Bishop of Rome. The exhortation describes a way of loving in family life that includes those who struggle with the teachings of the Catholic Church on marriage, divorce, family life and human sexuality, as well as encouraging those who strive to live the Church’s teachings fervently in their marriages and families. The first link below is the full document in PDF form. 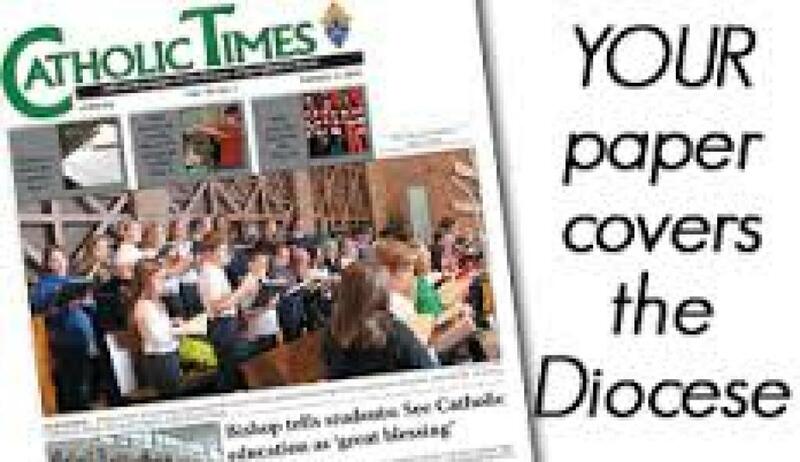 The second link is a very brief presentation of some of the main points of the exhortation summarized by Father James Martin, S.J., the author of many popular books on living the Catholic Faith. Evangelii gaudium (English: The Joy of the Gospel) is a 2013 apostolic exhortation by Pope Francis on "the church's primary mission of evangelization in the modern world." It has been described as a "remarkable and radical document, one that ranges widely and challenges complacency at every level," as well as "the manifesto of Francis" and a "Magna Carta for church reform." 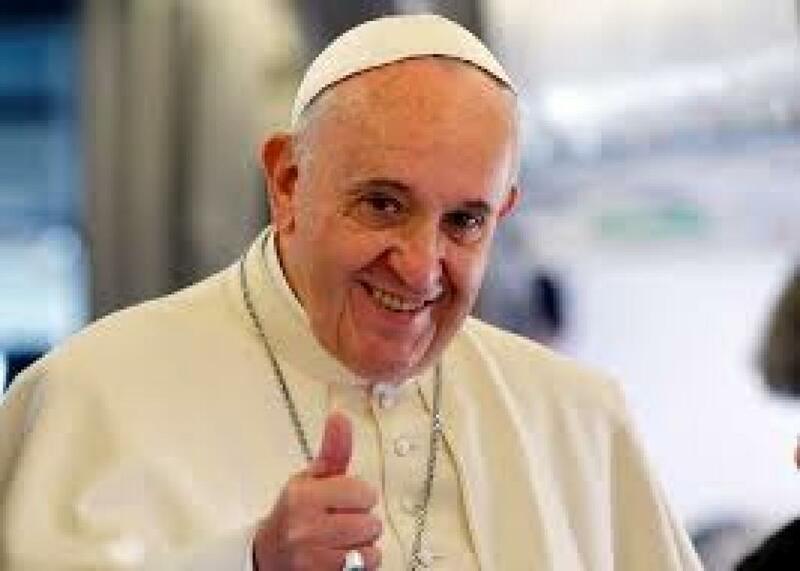 Evangelii gaudium touches on many of the themes of Francis' papacy, including obligations Christians have to the poor, and the duty to establish and maintain just economic, political, and legal orders. Francis says that the world "can no longer trust in the unseen forces and the invisible hand of the market" and calls for action "beyond a simple welfare mentality" that "attack[s] the structural causes of inequality." Refocusing society's priorities, he asks how "it is not a news item when an elderly homeless person dies of exposure, but it is news when the stock market loses two points?" 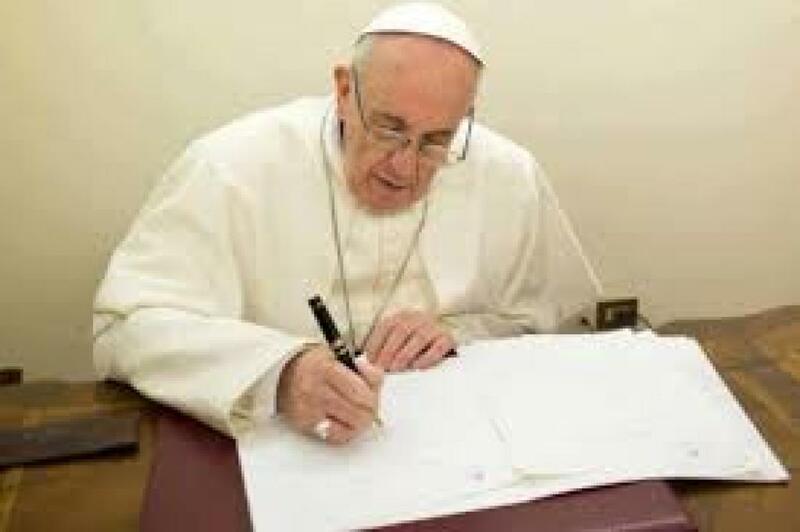 Calling for an "ecclesial renewal which cannot be deferred," Francis is critical of the over-centralization of church bureaucracy, poor preaching, and excessive emphasis on doctrine. Additionally, it calls for more pastoral creativity and openness, and a “pastoral conversion” in papal ministry. Lightning strikes St Peter’s dome at the Vatican on February 11, 2013. Pope Benedict XVI announced today he will resign as leader of the world’s 1.1 billion Catholics on February 28 because his age prevented him from carrying out his duties — an unprecedented move in the modern history of the Catholic Church. Click on link above for UTube Video. 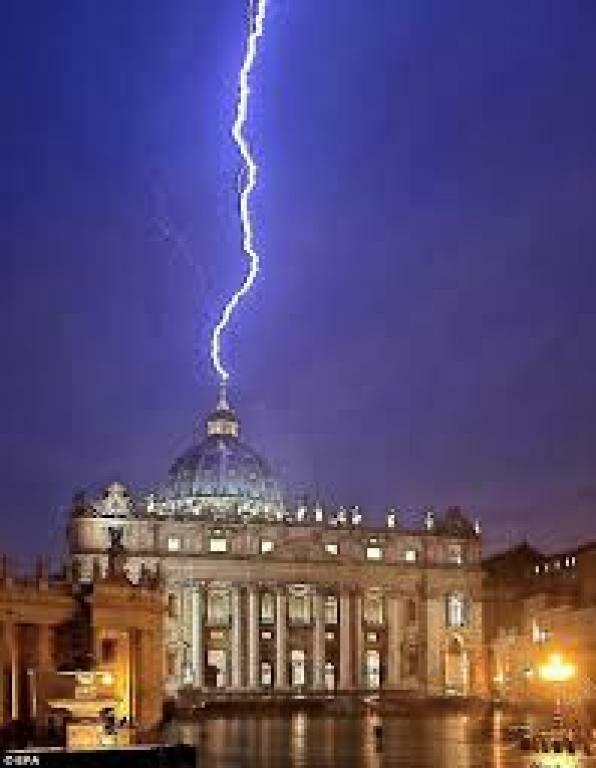 When a massive lightning strike lit up the top of Saint Peter’s dome on the evening of Feb. 11, 2013, many observers chose to interpret this as a divine reaction to the historical announcement of Pope Benedict’s resignation, made that very morning. As his personal secretary, Archbishop Georg Gänswein, reminisced about how both he and Benedict only found out about the lightning strike after the event. 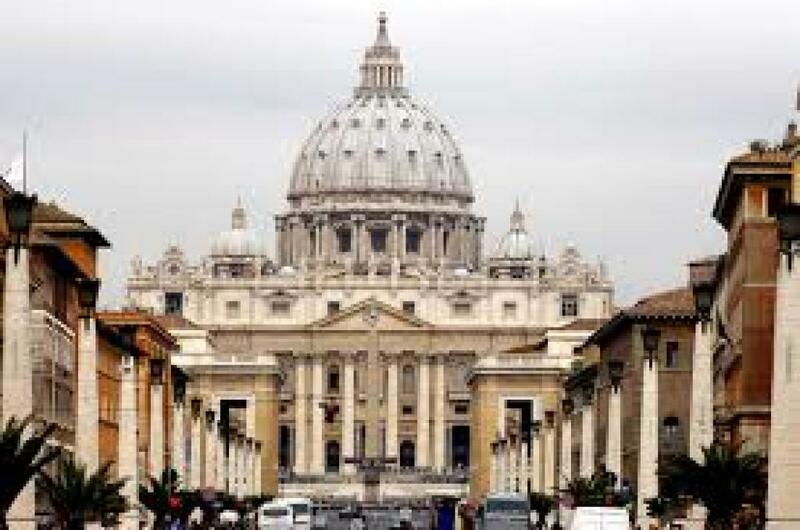 THE VATICAN: Vatican City, a city-state surrounded by Rome, Italy, is the headquarters of the Roman Catholic Church.